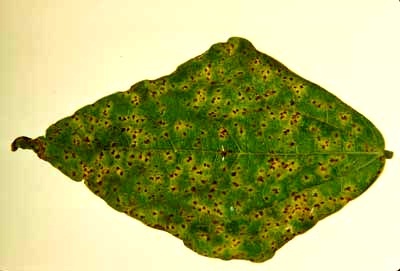 Initially the disease appears as small whitish slightly raised pustules on both the leaf surfaces. These leafs enlarge and turn brown. Later on uredosori appear on these areas which give rusty appearance. Infected leaves become yellow in colour.